Long-term medical conditions affect an estimated four million older people in the UK. This is set to rise because of our ageing population. It is predicted that by 2030, around seven million older people will have some form of long-term medical condition. The ageing population and the increased prevalence of long-term medical conditions have had a huge impact on the NHS. Falls are the largest cause of emergency admissions for older people and significantly impact long-term outcomes, especially for those who suffer from a medical problem. Advances in health care have helped people in the UK live for longer than ever before and, as a result, medical conditions have become a more pronounced part of older life. It is becoming less of a challenge to live with these medical conditions and older people are now in the best position ever to manage them on a day-to-day basis. It’s important that we all have some knowledge about the most common medical conditions so that we are more prepared to deal with them if diagnosed. This includes understanding the condition itself, the treatments available, ways in-which to prevent the illness and how to live with it. Here’s our guide to the most widespread medical conditions that tend to affect older people. Arthritis is the breakdown of tissue inside the joints. It can cause pain, inflammation, restricted movement of the area and an apparent weakness within the joints affected. Arthritis is very common in the UK, affecting around 10 million people of all ages. There are two main types of Arthritis: Osteoarthritis and Rheumatoid Arthritis. When it comes to older people, the most common type of arthritis is osteoarthritis. This is caused by wear and tear; the older we are the more we have used our joints through our lifetimes. Around eight million people in the UK are affected by this type of arthritis. Unfortunately, there is currently no cure for the illness but there are treatments available such as painkillers and corticosteroids, which can help slow down the condition. The risk of a fall increases if you have arthritis, as your joints are unable to support you as much. Our Personal Alarm system can help ensure that help is found should your suffer from a fall in your home or garden. You simply need to push the red button on your pendant, worn around the wrist or neck, and our 24/7 Care Team will respond. A member of the team will assess your situation before taking the appropriate actions. This will commonly include contacting your loved ones as well as the emergency services, and informing them that you require urgent assistance. Hypertension is a long-term health condition whereby the blood pressure in the arteries is constantly elevated. Blood pressure is the pressure of the blood within blood vessels and is measured in ‘millimetres of mercury’ (mmHg) using two numbers; for example, 120/80mmHg. According to the NHS, more than one in four adults in the UK have high blood pressure but many won’t even realise it. The only way to find out is by having your blood pressure checked. Noticeable symptoms of hypertension are rare as the only time someone will notice symptoms of hypertension will be when their blood pressure reaches dangerously high levels. This is known as hypertensive crisis and the symptoms for this include severe headaches and anxiety, chest pain and an irregular heartbeat. Watching your diet – Avoid foods high in saturated fat and sugar. Replace them with fruits and vegetables. Leading an active lifestyle – Begin adding more exercise to your day. Start by walking regularly and then move onto jogging if you can. Stop smoking – Nicotine raises people’s blood pressure and heart rate. If you smoke, one of the best things you can do for your overall health is to quit. The NHS recommends that all adults over the age of 40 get their blood pressure checked at least every five years. With a Personal Alarm, if you feel chest pains or feel unwell you can raise an alert by pressing your red button and informing our Care Team that you’re concerned and they will contact your loved ones, or the ambulance service, and ask them to visit your home. Asthma occurs when the body’s airways are sensitive to allergens and become inflamed. This inflammation can cause a painful and frightening attack, which causes the airway muscles to tighten and narrow – making it hard to breathe. A tight sensation in the chest. Being out of breath regularly. Older people are susceptible to asthma and it can worsen when people have a cold or the flu. Asthma can be disruptive to a person’s life and managing it is extremely important as it can be a life-threatening condition. Having a Personal Alarm could be a difference maker if you suffer from an asthma attack. You can press your pendant button, which will then make an alarm call through to our Care Team. They will communicate with your over the loudspeaker and arrange for help immediately. Should you collapse or fall wearing a Fall Detector, your device will send an alert call automatically. Around two million people are living with sight loss here in the UK, with 360,000 people registered as blind or partially slighted. The leading cause of blindness is age-related macular degeneration (AMB), which affects more than 600,000 people in the UK. AMD is caused by a build-up of deposits on the macula (the small area at the centre of the retina) and can also be caused by abnormal blood vessels developing under it. Early diagnosis of potential blindness is vital so please seek medical attention if your vision is becoming an issue. Of course we should all get regular eye checks to ensure that our eyesight is healthy. Specsavers suggest that people have an eye test every two years at the very least. Losing your sight can be very difficult to cope with, however there are support groups out there that can help – such as the RNIB. 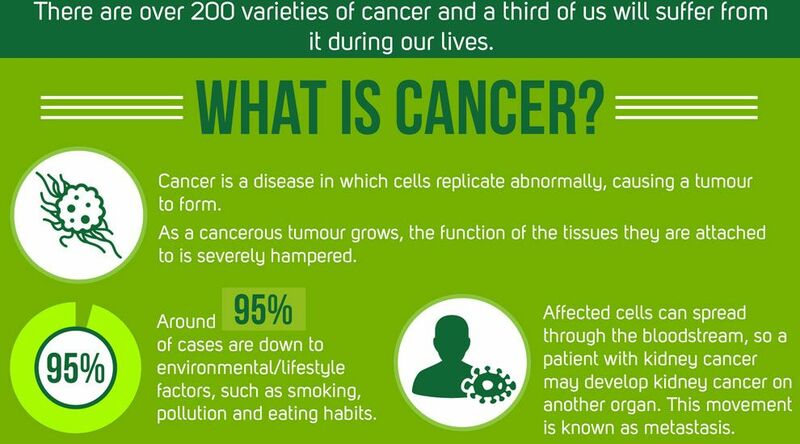 A third of the population will suffer from a form of cancer at some point in their lives. There are over 200 strains of this medical condition, such as breast cancer, prostate cancer and lung cancer. Cancer is a disease where cells in the body replicate abnormally and cause a mass known as a tumour. These abnormal cells multiply, causing either the tumour to grow or the cancerous cells to spread through the bloodstream. Unexplained blood in the stool, urine, when coughing or when vomiting. The survival rate is much lower for older people, which is why it is important for symptoms to be caught earlier and treatment to begin as soon as possible. Please take a look at our guide to coping with cancer, an article we hope will help those affected by this condition. Chronic bronchitis is a respiratory condition. Most cases develop due to an infection irritating and inflaming the bronchi of the lungs, causing an overproduction of mucus. The body tries to shift this excess mucus via coughing. This condition causes this coughing to happen daily for prolonged periods of time. Aches and pains in your chest. The most important thing to do if diagnosed with chronic bronchitis is to quit smoking if you smoke. Cigarettes will only make the condition worse and it will take longer to disappear. Alongside this, you should also ensure that you’re eating a healthy diet to help prevent lung infections in the first place. If you have chronic bronchitis you should make sure that you get plenty of rest, drink plenty of fluids to avoid dehydration, and ensure that you treat any headaches or fever with paracetamol or ibuprofen – don’t use the latter if you have asthma. Coronary heart disease is one of the leading causes of death here in the UK. According to the NHS, coronary heart disease (CHD) is the term that describes what happens when your heart’s blood supply is blocked or interrupted by a build-up of fatty substances in the coronary arteries. Those considered to be at risk from CHD will be put through a risk assessment by their GP. Tests such as a treadmill test, radionuclide scan and a CT scan are just a few of the options available to doctors. The main symptoms of CHD are angina, heart attacks and heart failure. In order to reduce the risk of CHD, people are advised to make severe lifestyle changes. For example, people should take part in regular exercise, eat a balanced diet and stop smoking if they smoke. There are also several types of medication or surgery options to help treat CHD. The knock-on affects of CHD can appear out of nowhere, and can be fatal. If you have a Personal Alarm you can raise the alarm as soon as you feel any pain or fall, and help will be on its way within a few short seconds. Remember, a Fall Detector Pendant will automatically detect a sudden fall and will raise an alarm for you. Having this technology can make a huge difference should you suffer from a heart attack. Dementia is a progressive disorder that affects the brain’s memory capacity and it’s overall functionality. Rather than being a condition in and of itself, dementia is a word that refers to a set of symptoms relating to someone’s memory, language and understanding. The most common cause of dementia, and most well-known, is Alzheimer’s disease. Vascular dementia is another type of dementia that develops following a stroke or if there is blood vessel damage in the brain. Problems in conversation – struggling to follow along or to find the right words. Forgetting where you are or what date it is. Nearly one million people in the UK live with dementia, 90% of whom are 65 or over. Anybody who feels that they might be suffering from any of these symptoms should visit their GP as soon as possible. An early diagnosis can help ensure that the right treatment and support is put into place. The symptoms of dementia can be scary, both for you and your loved ones. Personal Alarms can help in these situations. If you, or your loved one, begins to worry or becomes confused about their surroundings they can press their pendant for help. Older people are susceptible to developing diabetes because of changes that happen as our bodies grow and age. 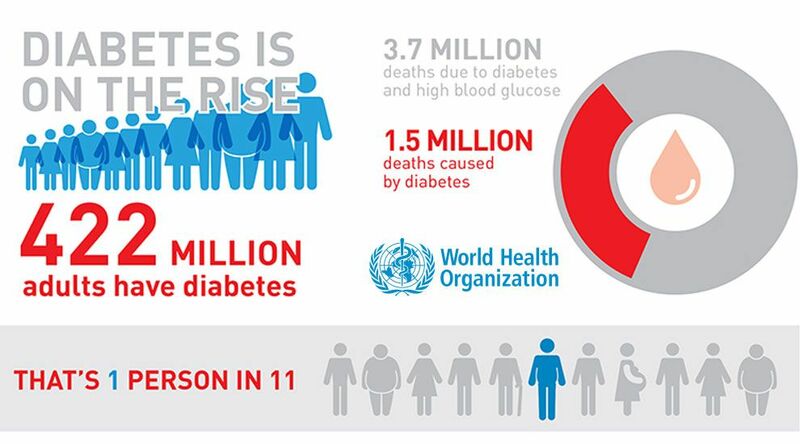 Diabetes is a lifelong condition, caused by the pancreas not producing enough insulin. It affects an astonishing 3.9 million people here in the United Kingdom. Healthy eating – Increasing the amount of fibre and reducing sugar and fat intake. Losing weight – Do this by gradually reducing calorie intake and becoming more physically active. Exercising regularly – It is important to keep active by completing both aerobic and muscle-strengthening activities. Older people are often quite frail and more susceptible to illnesses, which can lead to diabetes-related complications. Furthermore, exercising and adopting a diabetic-friendly diet can be more difficult for elderly people to manage. Epilepsy is a neurological condition that results in seizures. Oddly, epilepsy is commonly diagnosed in those at polar opposites of the age spectrum. It is most common in young children and people aged over 65. In fact, one in four people diagnosed are over 65. Epilepsy can be either symptomatic, meaning it has a clear cause, or idiopathic, meaning its roots are most likely genetic. Symptomatic epilepsy can be caused by head injuries, strokes, tumours or certain serious infections. The condition is commonly diagnosed after somebody has suffered from more than one seizure – as many people have a one-off epileptic seizure during their lifetime. Stay Healthy – Take part in regular exercise and eat a balanced diet. Sleep – Ensure that you’re getting enough sleep. Avoid Alcohol – Avoid excessive drinking. Please remember that if you have a seizure, you have a legal responsibility to inform the Driving and Vehicle Licence Authority. A Fall Detector could be particularly useful to sufferers of epilepsy. This device will automatically detect a fall or sudden unusual movement and will raise an alarm with our Care Team, who will then ensure that help is sent to your home. Motor neurone disease is a rare condition where the nervous system progressively degenerates, leading to muscle weakness often visible by the wasting away of muscle tissue. Motor neurone disease, also known as ALS (Amyotrophic Lateral Sclerosis), occurs when motor neurones that control important muscle activities such as walking and speaking in the brain and the spinal cord stop working. The causes of the disease are still unknown, but we do know that it commonly affects men more than women and that it occurs most often in people between the ages of 50 and 70-years-old. Multiple sclerosis is a neurological condition that affects the brain and spinal cord. Multiple sclerosis can cause serious disability, but the main symptoms are a wide range of problems with vision, movement and even balance. There are more than 100,000 people in the UK living with the condition. The MS Society estimates that each year 5000 more people are diagnosed – that’s approximately 14 people every day. They go on to say that around one in every 600 people has multiple sclerosis (MS). Currently there is no cure for multiple sclerosis, but there are a number of treatments out there which can help to control the condition. The treatments available will depend on the specific symptoms of the condition. Osteoporosis affects over three million people across the UK, with more than 500,000 people receiving hospital treatment for fragility fractures every year as a result. This condition develops slowly over time and is often left undiagnosed until a fall or impact causes a bone fracture. This is because osteoporosis is a condition that weakens the bones. Losing bone mass is a natural part of the ageing process, however some people do lose density faster than normal which leads to Osteoporosis and an increased risk of fracture injuries. Women are more at risk of the condition because they lose bone density rapidly in the first few years after going through menopause. Medication can help strengthen bones or, alternatively, calcium and vitamin D supplements can be taken as both are very important when it comes to the well-being of bones. Weight-bearing exercises – Activities which involve moving against gravity whilst staying upright. High-impact examples such as skipping and tennis help to build bones and keep them strong. Low-impact examples such as using a stair-step machine and a treadmill are a safer alternative if you have bone problems. Muscle-strengthening exercises – Activities which involve moving the body, weights or other forms of resistance against gravity. Examples include lifting weights, using weight machines and elastic exercise bands. Suffering from a fall is very common for those who suffer from osteoporosis. Should you suffer from a fall, you may be unable to get back up or reach for your phone. Having a pendant button around your wrist or neck allows you to call for help in event such as this. For added security, we would suggest the Fall Detector plan as this will raise a call even if you’re unable to press the button. Paget’s disease of the bone disrupts the normal cycle of bone renewal. It’s triggered by a flaw in the bone cell regeneration system, which causes bones to become weakened and possibly deformed. Paget’s disease is a common bone condition that affects the pelvis, spine and other areas of the body. It is a very common condition in the UK and is most common in people over the age of 50. The condition can be seen in 8% of men and 5% of women by the age of 80. The symptoms of this condition can trigger a fall, which can be fatal if there is nobody around to help you. Having a Personal Alarm can help should you suffer from any of the symptoms above, or from a fall. Simply press the red button on your pendant and our Care Team will respond, assess your situation and arrange for help to come to you. Parkinson’s disease is a chronic and progressive condition which damages and affects parts of the brain. It is estimated, by the NHS, that there are around 130,000 people in the UK living with Parkinson’s disease – that’s 1 in every 500 people. Involuntary shaking of particular parts of the body (tremor). Currently, there is no cure for Parkinson’s disease. There are treatments available which can help to reduce the main symptoms and allow those affected to maintain their quality of life for as long as possible. Having a stroke is very serious and it can be life-threatening if you don’t seek medical attention straight away. A stroke will occur when the blood supply to a part of your brain is cut off. Without your blood, brain cells can be damaged and may even die. Strokes a particularly common among older people, with the average age for men to suffer one being 74 in England, Wales and Northern Ireland. For women, this age is slightly higher, with the average being 80-years-old. Across the UK, strokes are a leading cause of disability with around two thirds of all survivors being left with a disability. Paramedics are trained to deal with strokes, so if you notice any signs at all you need to call for an ambulance. Wearing an alarm pendant ensures that you can call for help even if you’re unable to reach for the phone. Our Care Team will take care of everything, by calling for your loved ones and the emergency services. Chronic kidney disease (CKD) is often associated with the aging process and is therefore quite common among older people here in the UK. The disease is commonly caused be other medical conditions which have an affect on your kidney, such as kidney infections, high blood pressure, diabetes and kidney inflammation. According to Kidney Care UK, around 64,000 people in the UK are being treated for kidney failure – this is also known as stage 5 CKD, where kidney function is less than 15%. If you suffer from any of the symptoms above or notice any other worrying changes to your body, you should see your GP as soon as possible. There is no cure for CKD right now, but there are methods of treatment which can relieve the symptoms and prevent it from getting any worse. Options include medication, living a healthy lifestyle, dialysis or a kidney transplant in severe cases. Read more about Chronic kidney disease. Deep vein thrombosis is caused by a blood clot in your deep veins, which are commonly found in your legs. This condition is most common in people over the age of 40, and can also lead to further complications, including pulmonary embolism. There are a number of risk factors which could increase your risk of suffering from such a blood clot, including being inactive for longer periods of time, obesity, blood vessel damage and a family history of blood blots. Blood vessel damage can be caused by smoking, so in order to lower your risk of deep vein thrombosis and several other medical conditions you should seriously consider quitting. Medication which thin your blood and therefore reduce the blood’s ability to clot and prevents existing clots from increasing in size, are is commonly used as treatment. Alongside your medication, you will also be told to make some lifestyle changes. Read more about deep vein thrombosis. Shingles is a skin condition which is very common among older people, especially those over the age of 70. This is due to the fact that your body’s immune system becomes weaker as you age. This medical condition is caused by the same virus which causes chickenpox, and only those who have had chickenpox can develop shingles. The infection will cause a painful rash or blisters to form on your skin, which may become extremely itchy. If you have shingles, the affected area will feel quite tender and you may experience sharp stabbing pains every now and then. Other symptoms include a burning and tingling feeling in the affected areas, as well as a high temperature and a general feeling of being unwell. The earlier that you see your doctor, the sooner treatment can begin which means the severity of your condition may be reduced. The NHS suggest using Calamine Lotion as this has a cool, soothing effect on the skin and can relieve the itchy feeling. If your blisters are weeping, you can use a cloth or flannel which has been cooled with tap water. People aged 70 or 78-years-old qualify for a free shingles vaccination with the NHS, and this is the best way of avoiding the condition. Cholesterol is a fatty substance which is created by your liver and is also found in some foods. It is then carried around your body by proteins in your blood, with the combination of the two being known medically as lipoproteins. There are two types of lipoproteins; low density and high density, with the latter being classed as good cholesterol. A family history of stroke or heart disease. Being old can also increase your chances of having high cholesterol, as the risk of your arteries narrowing is much higher. The best way to lower or avoid high cholesterol in the first place is by living as healthily as possible. This includes staying as active a possible by exercising or taking part in sporting activities, eating healthy foods, lowering your alcohol intake and trying to stop smoking. Read more about how cholesterol works and the dangers it can cause. A very high percentage of medical conditions cause those affected to drastically change their lifestyles in order to manage them. It is important to first understand the medical condition and then move forward with support and treatments. It is still possible to live a normal life with a long-term medical condition. Those affected can plan their care and medication with their family or loved ones, working together to understand their new lifestyle and they can bring control and management into living with a medical condition. A personal alarm can help protect people if they suffer from medical conditions like those mentioned in this article. If one of our alarm users feels unwell, or suffers a fall, he or she can press their pendant button and help will be arranged immediately. Editors note: This article on medical conditions was originally published on September 7, 2017. Updated on February 13, 2019 to improve the information available.